Shortly after virus entry into the cell, converts the viral ssRNA genome into dsDNA, which can then be integrated into the host genome. RT is a heterodimer p66/p51 and displays multiple enzymatic activities: RNA-dependent and DNA-dependent DNA polymerase and RNase H activities . Viral integrase and host proteins AKAP-149 . Host cytoplasm: reverse transcription probably takes place in the cytoplasm during capsid transport and uncoating . 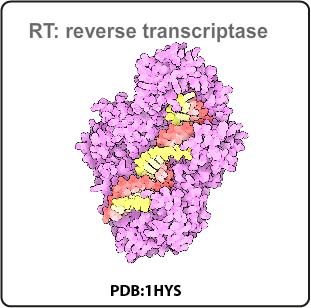 Antiretroviral Drugs Reverse transcriptase inhibitors (RTs) are composed of two classes of antiretroviral drugs; nucleoside and nucleotide reverse transcriptase inhibitors (NRTIs and NtRTIs) and non-nucleoside reverse transcriptase inhibitors (NNRTIs). 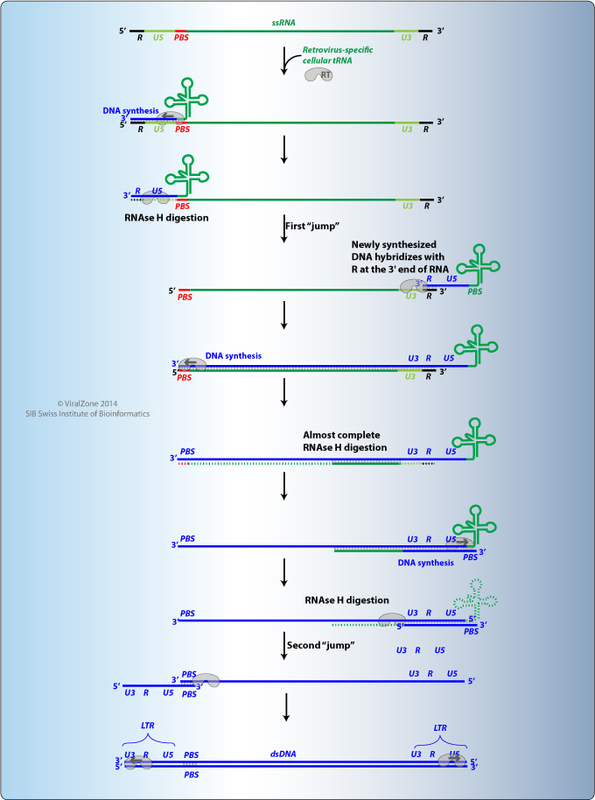 Both drug classes work to disrupt the normal mechanism of HIV RT, within an infected host cell, to inhibit the reverse transcription of the viral RNA genome to DNA and to prevent HIV replication.